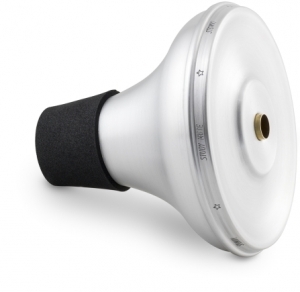 This study mute of high quality is made of aluminum, brass and neoprene. Due to its size, it can be transported inside the bell of the trombone without occupying space in the bag. Because of its shape and design, significantly reduces the volume without changing the tone quality, maintaining a high harmonic balance.